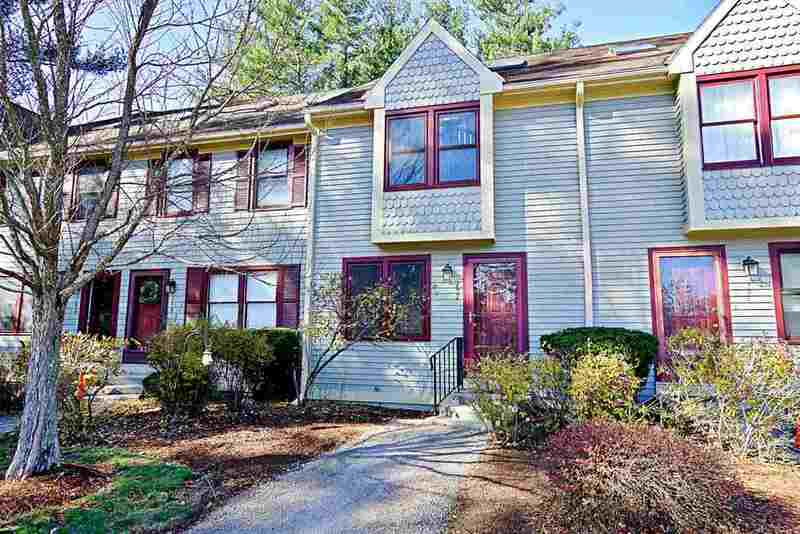 Recently updated townhouse located in desirable Hollis Crossing. New flooring throughout 3 levels and basement. Kitchen features new hard surface counters, freshly painted cabinets and new appliances. Spacious dining/living area with direct access to newly updated deck. Second level features 2 bedrooms and spacious bathroom with double sinks and linen closet. The front bedroom has a loft area that is perfect for an office or additional sleeping area. Finished lower level provides extra space that is perfect for an exercise room or family room. Laundry room with extra storage space completes the basement level. Enjoy natural gas, public water and public sewer. New tilt windows are easy to clean! Association is pet friendly and offers plenty of outdoor recreation including tennis, in-ground pool, basketball, walking trails and area to launch you kayak or canoe. Conveniently located minutes from Route 3 and bordering Hollis. Room 4 Dimensions: 10&apos;7" X 12&apos;9"
Room 5 Dimensions: 12&apos;5" X 15&apos;2"
Room 7 Dimensions: 26&apos;9" X 11&apos;7 "